Pieces of Brazilian emerald suspended in a quartz-pegmatite crystal matrix. 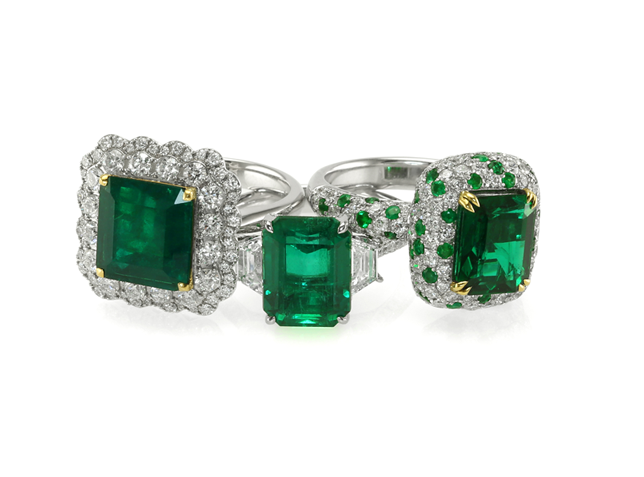 Throughout history many gemstones, including emeralds, have been thought to possess powerful healing properties. Since emerald is one of the earliest minerals collected by man, throughout the ages a large number of medical “virtues” have been attributed to it. Traditional beliefs indicate that emerald benefits the eyes, treats a host of minor ailments, prevents serious illness or death by poison, and boosts mental health. In early days, gems were classified by color, and the color of a gem was thought to have an effect on the type of malady it was capable of healing. 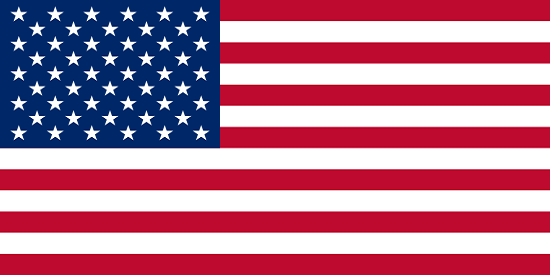 From antiquity, green was regarded as the color most beneficial to the eyes. A carved bust of Roman Emperor Nero who was said to use an emerald to aid his sight. 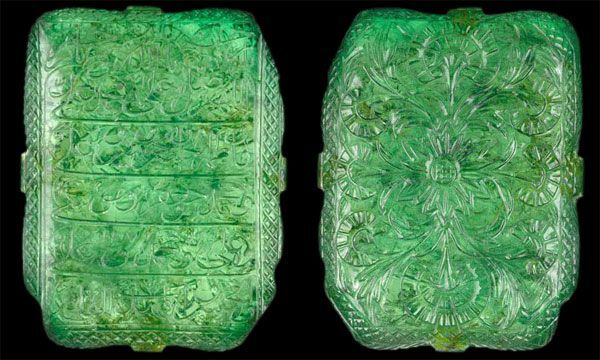 The Egyptians were the first to use emerald as a cure for infertility and it was employed for this purpose for many centuries thereafter. 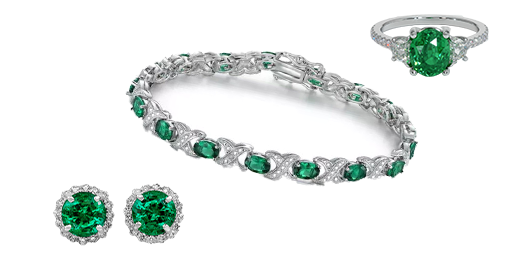 To prevent miscarriage, pregnant women were encouraged to wear emeralds around their necks. It was also believed to alleviate the pain of childbirth if strapped to the thigh of the expectant mother (Kuntz 1915). The Gachala, a Colombian emerald, clocks in at a staggering 858 carats. 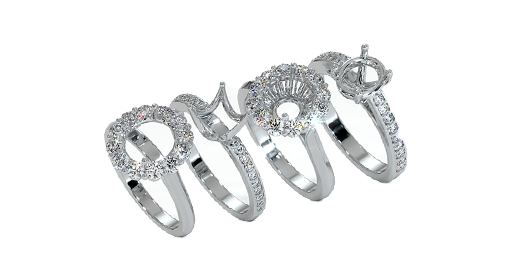 A stunning symbol of fertility. 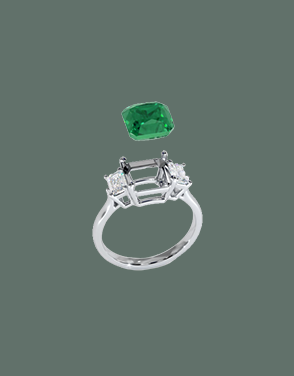 Emeralds are also said to honor Astarte, the Phoenician goddess of fertility, love, and war. The Greeks most likely changed her name into the more familiar Aphrodite. Some of Astarte’s symbols are represented by horns, stars, and doves – symbols of love and fertility. A sketch of 16th century physician Anselmus de Boodt, who wrote extensively of the curative powers of emeralds. In the not too distant past, many of Europe’s best-appointed dining tables were furnished with an article called an arbre d’epreuve (proving tree) or a langier (serpent’s tongue). This item, often made of precious metals, had suspended from it ten or more stones, which were believed to have the power to detect or neutralize any poison in the food being served. 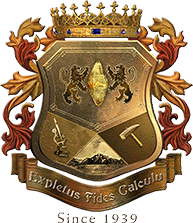 Precious stones, including emerald, were part of proving trees, although novelties such as shark’s teeth and toadstones were also employed. Detailing of Saint Valentine curing someone struck with epilepsy. It was common to believe that emeralds could cure this disease. Before the food or wine was served to royalty or other important personages, a liveried servant would dip the stones into them looking for signs of poison. It was believed that the stones would sweat, change color, or exhibit other phenomena if poison was present—although it was also common practice to employ an official taster for further insurance. A relief of the Dominican monk Albertus Magnus who expounded on the benefits of emeralds to health. 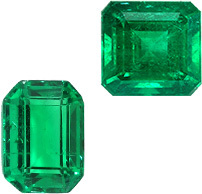 All told throughout history, emerald has been prescribed as an effective cure for a host of ailments including kidney stones, liver disease, skin diseases, wounds, hemorrhages, hemorrhoids, belching, hiccoughs, heart ailments, diabetes, rheumatism, sore throat, toothaches, headaches, and insomnia. 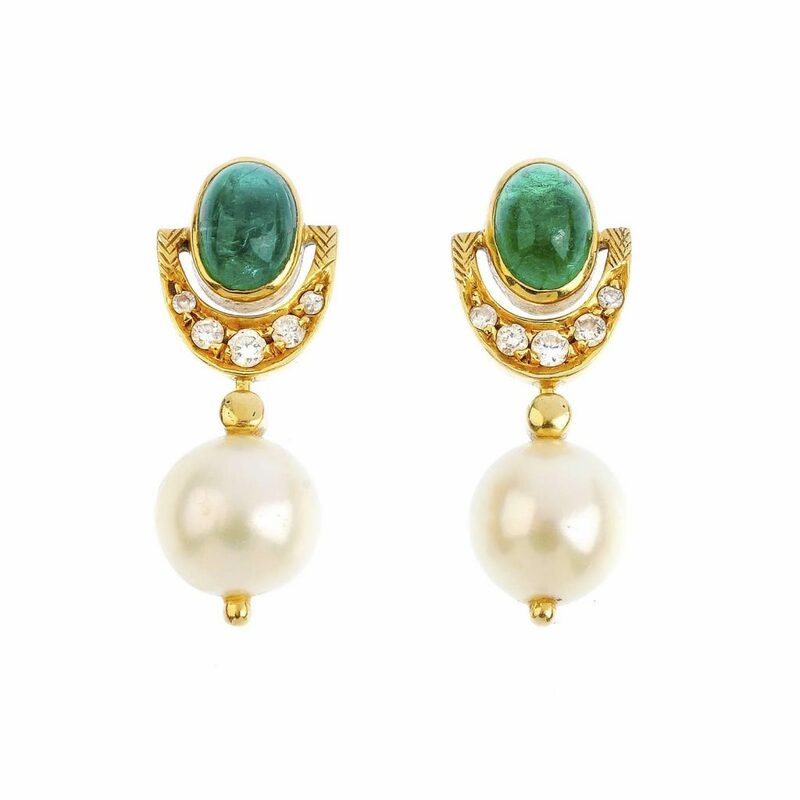 After noting the restful effects of the color green on the eyes, the ancients apparently decided that the benefits of emerald went beyond those organs and attributed equally salubrious effects on the brain and psyche. According to Kuntz (1915) emerald was prescribed as an antidote for melancholia to be taken three times a day for nine consecutive days. The father of the modern botany and zoology, Dominican monk Albertus Magnus (c. 1193-1280), also informs us that emerald improves memory and calms restless souls. 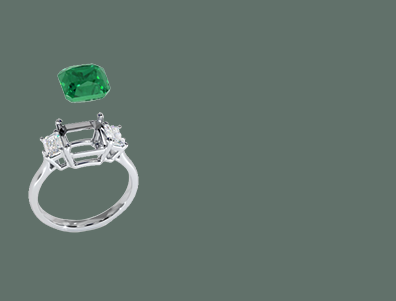 With so many meanings prescribed to emeralds, it should come as no surprise that emeralds have a lengthy history as expressions of love. 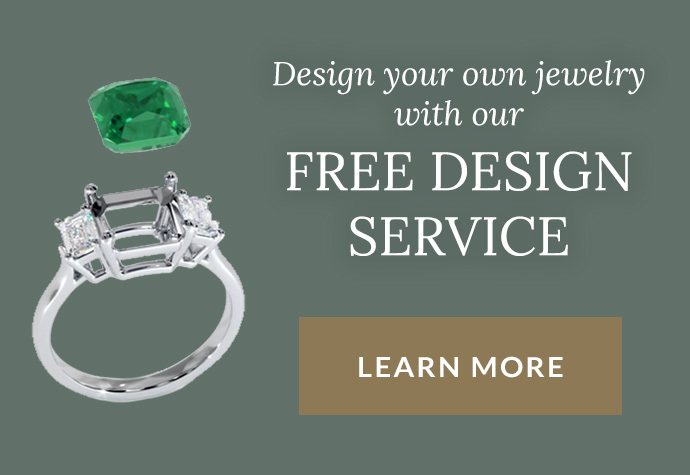 Discover that next in Emeralds and Love, Engagement, and Marriage. next article Why Choose Us?